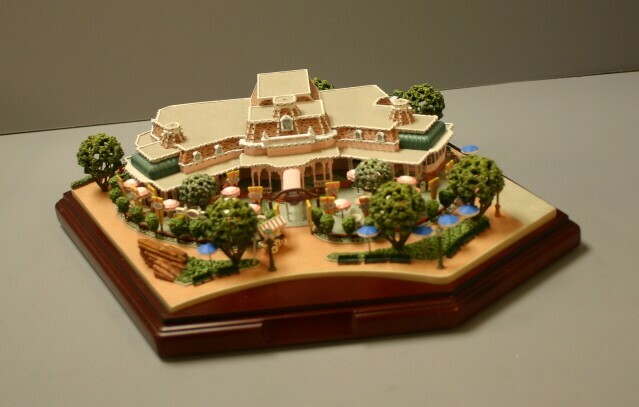 Image displayed above shows the Plaza Inn building mounted on a finished wood base without brass identification plaque. The base can be removed and the building placed on the Olszewski Disneyland Main Street, U.S.A. Platform base. For positioning and more information about the platform and the collection, click here.